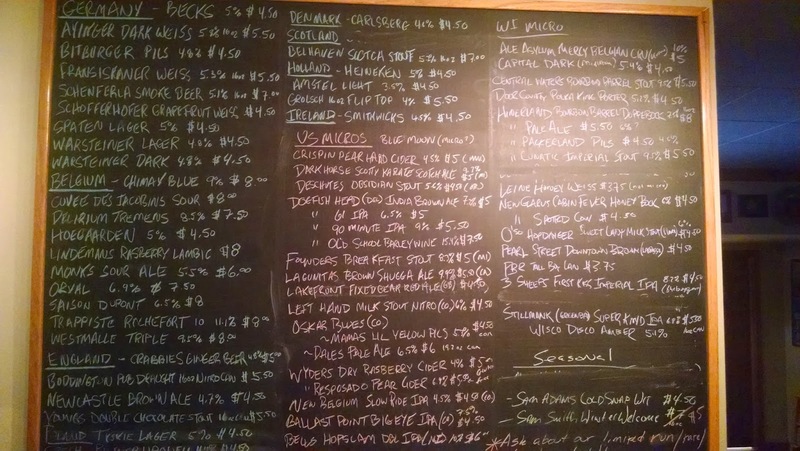 I've heard of the Lorelei Inn and always heard great things about it. I've driven by it plenty of times on Webster, but it looks like a hometown bar, not like a great German restaurant. Now that I know where it is and have been there, we'll be back for more! Lorelei Inn is known for its authentic German food with specials like Sauerbraten, Wienerschnitzel, and since the Classic Wisconsin Fish Fry has its roots in early German Catholic immigrants, they should also be known for their fish fry. 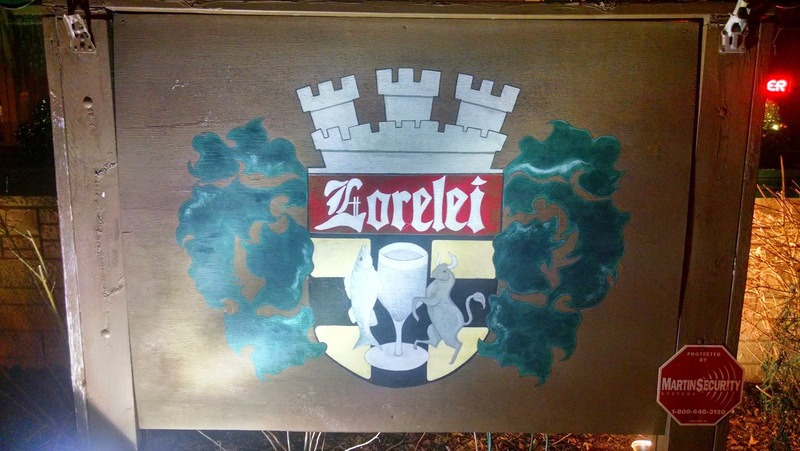 The outside is very unassuming with its permastone exterior, but its Lorelei Inn sign with the coat of arms starts to tell the story. Once inside, the bar area has plenty of room for people to sit at the bar or at pub tables throughout. We put our name in for a table, but with it being so late in the evening, we could have our order taken at any time. For those who like beer, especially German beer, this place has a large selection that would satisfy any beer connoisseur. We were given some menus to look over, the perch and bluegill specials were listed on a sign by the hostess station. 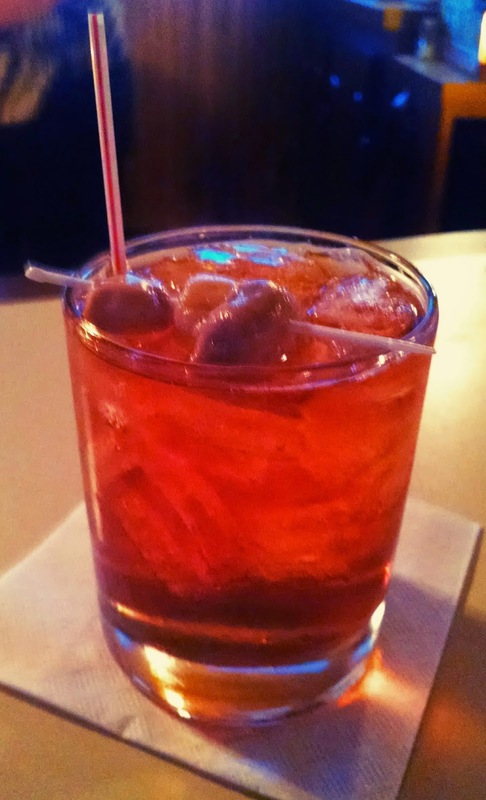 We ordered our brandy old fashioneds and an appetizier of cheese curds as we looked over the menu. 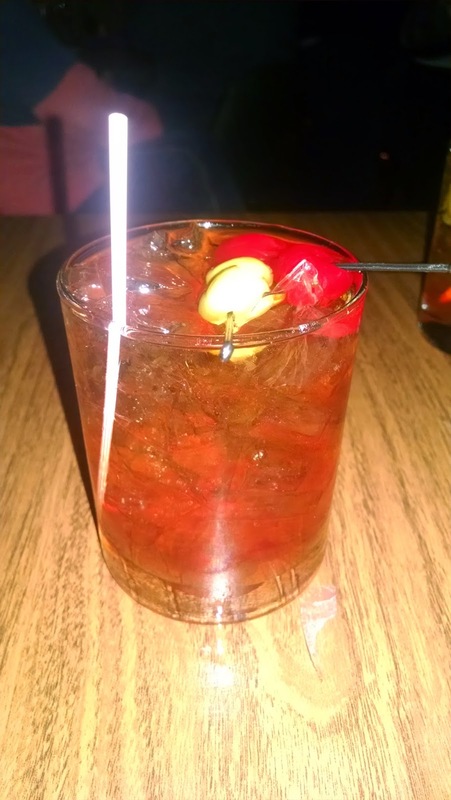 The brandy old fashioned was not muddled. 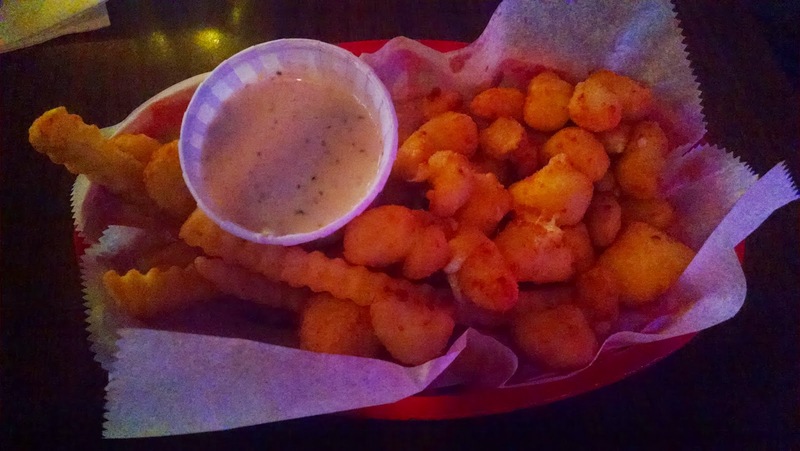 The cheese curds were an excellent choice. When we decided our order, we called our waitress over. We ordered the clam chowder soup before our meal, and when that was ready the waitress called us to our table. All three of us got the fish fry, and Chad and I chose the double order because we love leftover fish the next day. Lorelei Inn serves both perch and bluegill, so I got the perch and Chad got the bluegill so we could try both. 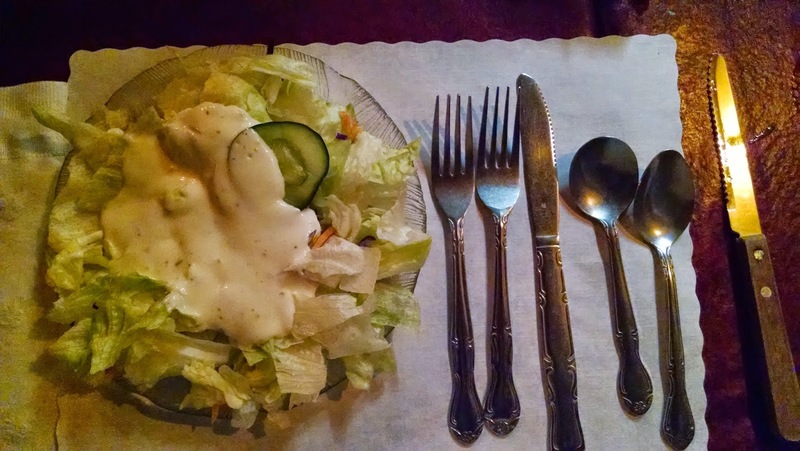 With our meal, we had choices of red cabbage, cole slaw, and saurerkraut. And for our potato, we had the choice of french fries, wedge fries, potato pancakes (with applesauce), and another option or two I cannot recall at the moment. Our food arrived, and the presentation looked delicious and plenty of food to satisfy us. Both the perch and bluegill was fantastic. The breading was definitely hand breaded, and I don't find many places that have this type of breading, it was cooked perfectly, crispy on the outside and moist on the inside. My potato pancakes were awesome, and Chad's warm german potato salad was delicious as well-definitely authentic German cooking. The cole slaw was good, not bad at all, but nothing overly fantastic. But I was a little disappointed that a German restaurant out of all places served the meal with rye bread, but no raw onion. Now I don't know if rye bread with raw onion has anything to do with German food, but I was hoping it would be served with it. Our waitress did serve up some white raw onion on request though. 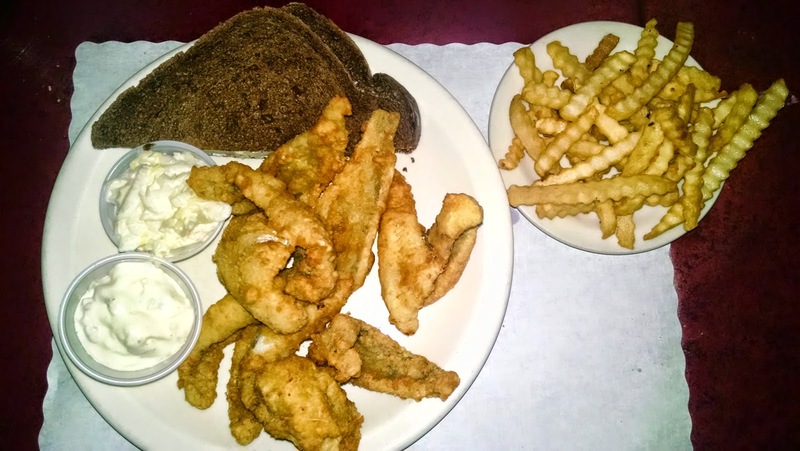 I was so pleased with our experience at Lorelei Inn, they put on a fantastic perch and bluegill fish fry and did a great job on all the sides. I will be back to enjoy some of their German food I've heard such great things about. Put this place on your short list for a visit real soon! I think they deserve a spot on our Top 5 fish fry list, don't you? We were celebrating Chad's birthday, and we don't like to take risks on new places for a special events, so Club Chalet is one of our go-to places for a guaranteed great dining experience. We ended up with 9 in our party, a fairly large group to coordinate dinner for, and to get seating for on a busy Friday fish fry night, especially during Lent. I was surprised that it wasn't as busy as it normally is. We enjoyed our cocktails in the bar area as the waitress took our order and waited for our table to be ready. Our waitress Sharon was fantastic the entire evening! We were eventually invited into the dining room to take our seats and our salads and relish trays were all laid out and ready for us to start our dining for the evening. 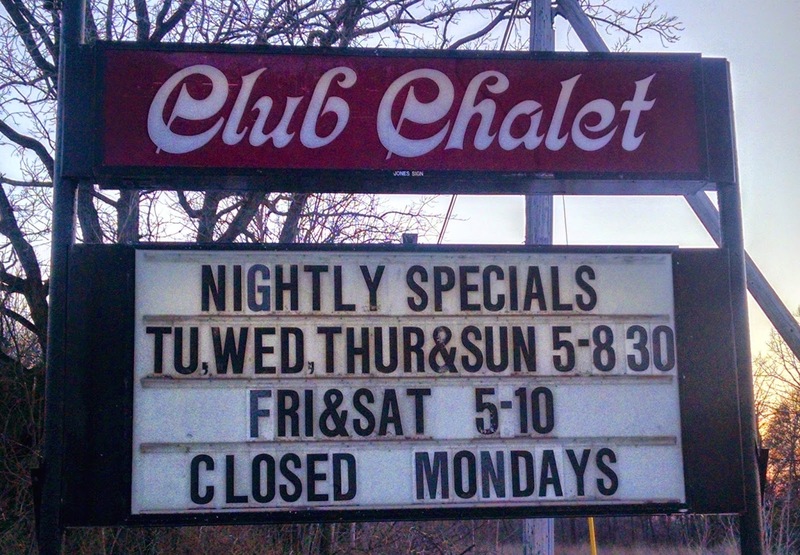 I love Club Chalet that from the time you enter the bar and then the dining room, you always have something to eat or drink and are well attended to. 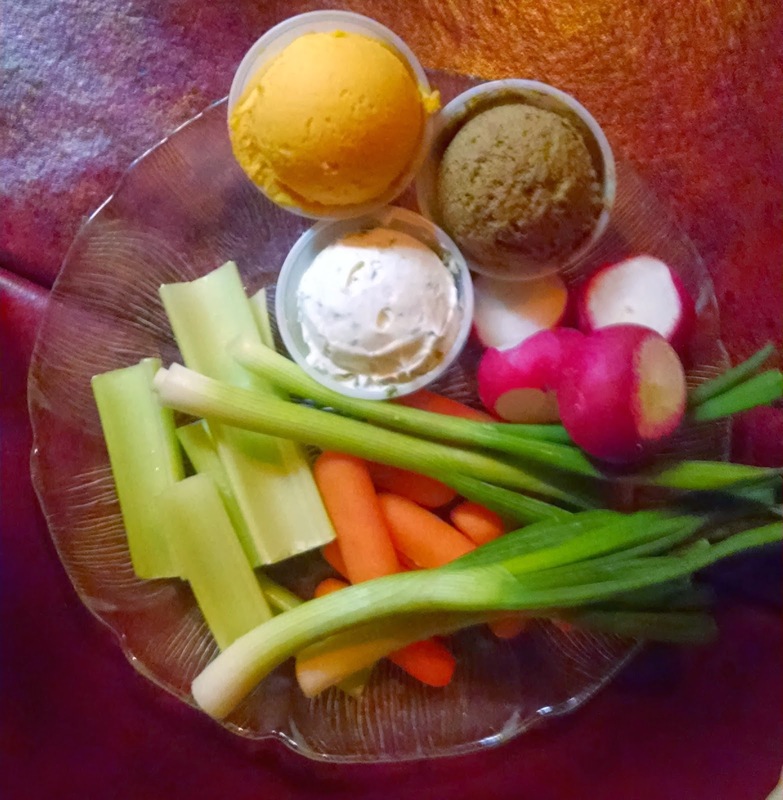 We enjoyed our salads and relish tray, with excellent liver pate and cracker basket, fresh salads, and fresh dinner rolls as we waited for our second course-the soup. The soups were delicious, especially the creamy clam chowder, so rich and full of flavor. After our salad and soup courses, the main entrees were served. I got the perch fry of course which was fantastic as always. Others in our party got steaks, prime rib, and even lobster. The lobster was served with hot melted butter, ready to dip the lobster in. I chose the fries for my potato and they tasted great. 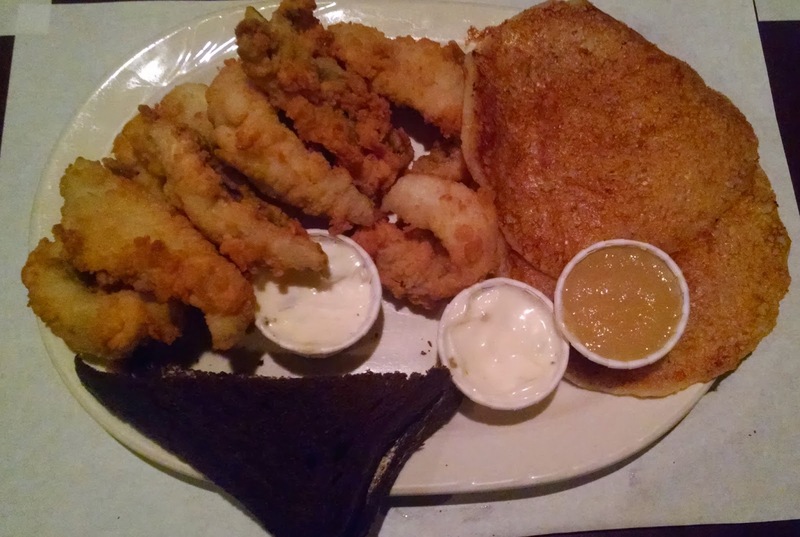 The fish fry was served with cole slaw and a two slices of buttered rye bread with white raw onion sandwiched in between. I am always delighted with our experience at Club Chalet from the service, to the atmosphere, to the excellent food. It's #1 on our list of fish fry's in North East Wisconsin for a reason.